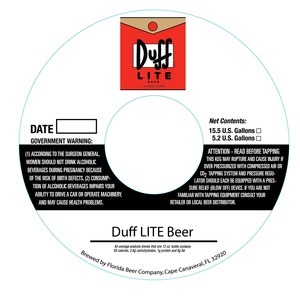 Duff Lite is brewed by Florida Beer Company, Indian River Beverage Corporation in Cape Canaveral, Florida. This brew is served on tap. We first spotted this label on June 4, 2013.